On 2nd July 2014 the Community Services & Health Industry Skills Council (CS&HISC) announced that as of December 2015 the Advanced Diplomas of Naturopathy, Western Herbal Medicine, Nutritional Medicine and Homoeopathy would be aligned at Bachelor degree level and removed from the Training Package. Why is this fantastic news, and what does this mean for Naturopathy and Herbal Medicine, and for current and future practitioners? Read on to find out. For a number of years many in the profession have argued that the Advanced Diploma level was inappropriate as our minimum qualification standard in Naturopathy and Western Herbal Medicine (WHM). This was illustrated by the introduction of innovative Bachelor programs offered at universities such as Southern Cross University (SCU), University of Western Sydney (UWS) and even those run by private colleges such as Nature Care College and Endeavour College. However over the years a number of these programs have faltered and eventually shut down, in large part because they could not compete with the shorter and less expensive Advance Diplomas being offered elsewhere. Over the last 15 months the CS&HISC convened meetings and discussions with Subject Matter Expert Groups (SMEG) to look at continuous improvement of the various qualifications in complementary medicine. As a member of the SMEG for Naturopathy & WHM, our early discussions focused on a number of improvements which – whilst highly desirable for the profession – moved the qualifications further and further away from the specification for an Advanced Diploma level qualification. Thus began the debate about whether the qualifications should be changed, and aligned with the standard for a Bachelor level education. The CS&HISC released two rounds of consultation with stakeholders, in September 2013 and February 2014, and the majority opinion was that the professions of Naturopathy, Western Herbal Medicine and Nutritional Medicine are better aligned at Level 7 – Bachelor Degree. From December 2015, the Advanced Diplomas of Naturopathy, Western Herbal Medicine, Nutritional Medicine, and Homoeopathy will no longer be offered to new students by any training institutions. According the the CS&HISC “students enrolled before that time will not be affected by the change” – in other words a teach-out period will be in effect. Existing graduates with Advanced Diplomas will NOT suddenly be irrelevant. It is almost certain that professional associations will continue to accept Advanced Diploma as the minimum entry standard for some years to come, in recognition of the fact that this has been the standard until now. It does NOT mean that our profession is now a registered health profession. For the time being we are still self-regulated, although obviously there is still considerable effort being invested by groups such as the NHAA, ANTA and ARONAH to change that. The profession will need to get behind the creation of guidelines and standards for Bachelor degree level education, to ensure a level of consistency and minimum standards across the country. Over the coming days and weeks I will be posting a more in depth discussion of why Bachelor degree education is more appropriate in our profession, so check back regularly. Thanks for the update Ian ! Pleasure Jason. Keep an eye out tonight and tomorrow - I will be adding another post with more about the rationale behind this decision. Thanks! As someone who has begun training at the Advanced Diploma level this year, these changes present quite a quandary about what my path forward needs to be. I watched your talk on YouTube and note your comments about upgrading Advanced Diplomas to Bachelors not being comparable to the quality of beginning to end Bachelors. And I appreciate your attention to the cost difference - now especially as the public universities have all dropped their Naturopathy degrees an unsubsidised private degree is a big expense especially given the current government's planned changes to the FEE- HELP program - applying 6% interest PA, and also the current average earnings of Naturopaths and Herbalists. Hi Kirrily. You raise some interesting points. The Advanced Diplomas delivered by some institutions in recent years have made valiant attempts to offer students almost Bachelor degree level training, and focused considerably on critical and clinical reasoning and have done their best to produce capable and autonomous practitioners. The problem with this is that by doing so, they have wandered far out of the bounds of Vocational Education & Training (VET) and the specification of Advanced Diploma standard. This results in the confusing situation of graduates sometimes having close to the Level 7 graduate skills specified for graduates of a Bachelor degree, but only being awarded an Advanced Diploma, and then needing to go on and complete an upgrade qualification if they want a Bachelor degree. The inconsistency is confusing and frustrating, but unfortunately par for the course when a profession like ours is trying to define itself. Your point about the costs of training versus the average earnings of naturopaths and herbalists is a good one, but it is somewhat of a chicken versus egg situation. Until we move out of the VET sector and have qualifications which put us on an even footing with other comparable health professionals, we will never receive similar earnings, nor have the same variety of career options. But at the same time, in making this move it can be financially challenging to many of us. My general advice for students starting now would be to choose a Bachelor degree rather than an Advanced Diploma, if that option is available to them. I know from experience having been second in charge of the degree program at UWS, proportionally more of the graduates of that program have gone on to have successful careers than I usually see from Advanced Diplomas. For those students already enrolled in an Advanced Diploma - if they are happy with the course then at this stage it might make sense for them to continue and complete. 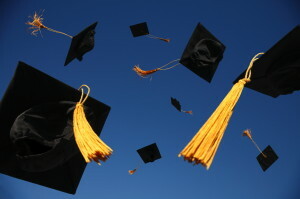 I don't know exactly what the future will bring, but I would imagine that there is a possibility of other more clinically focused Bachelor upgrade courses becoming available in the near future, and we know that professional associations are likely to keep accepting Advanced Diploma graduates for membership for some time to come.